The Kremers Memorial Lecture has been sponsored yearly by the Eta Chapter of the Rho Chi Society since 1950. In 1882, at the age of 27, Edward Kremers became the head of the University of Wisconsin School of Pharmacy. He led the School of Pharmacy for four decades during its formative period. He was an educator, scientist, and academician whose efforts left a lasting imprint on the profession of pharmacy, both nationally and at the University of Wisconsin. In 1950, the Rho Chi Eta chapter instituted an annual lecture series in his honor. Like Edward Kremers, the annual lecturer is a scientist and educator, or a creative leader in the health sciences. The Rho Chi Honor Society Eta Chapter is pleased to announce Marie Chishold-Burns will be our 2018 honorary speaker. 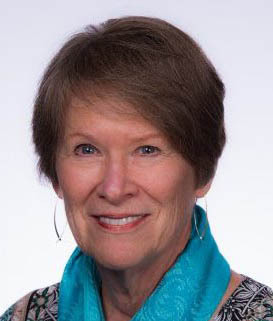 Marie A. Chisholm-Burns, PharmD, MPH, MBA, FCCP, FASHP, FAST, is Dean and Professor of the University of Tennessee Health Science Center College of Pharmacy and Professor of Surgery in the College of Medicine. She previously served as Professor and Head of the Department of Pharmacy Practice and Science at the University of Arizona College of Pharmacy, with joint appointments as Professor in the Department of Surgery and the Division of Health Promotion Sciences. Dr. Chisholm-Burns received BS in Pharmacy and Doctor of Pharmacy degrees from The University of Georgia, Master of Public Health from Emory University, and Master of Business Administration from the University of Memphis. With more than 310 publications and approximately $10 million in external funding as principal investigator, she is a prolific scholar. She has published several textbooks that have been adopted in many schools of pharmacy, medicine, and nursing. In 2008 and 2011, textbooks co-edited by Dr. Chisholm-Burns, Pharmacotherapy Principles and Practice and Pharmacy Management, Leadership, Marketing, and Finance, respectively, received the Medical Book Award from the American Medical Writers Association. She has received numerous awards and honors including the Robert K. Chalmers Distinguished Pharmacy Educator Award from the American Association of Colleges of Pharmacy (AACP), the Clinical Pharmacy Education Award from the American College of Clinical Pharmacy, the Daniel B. Smith Practice Excellence Award from the American Pharmacists Association (APhA), the Rufus A. Lyman Award for most outstanding publication in the American Journal of Pharmaceutical Education (1996 and 2007), the Nicholas Andrew Cummings Award from the National Academies of Practice, the Award of Excellence from the American Society of Health-System Pharmacists (ASHP), the Pharmacy Practice Research Award (2011 and 2014) and Award for Sustained Contributions to the Literature from the ASHP Foundation, the Research Achievement Award from APhA, the Clinician of Distinction Award from the American Society of Transplantation, the Paul R. Dawson Biotechnology Award from AACP, the Chauncey I. Cooper Pharmacist Leadership Award from the National Pharmaceutical Association, and the ASHP/Association of Black Health-Systems Pharmacists Joint Leadership Award. Dr. Chisholm-Burns is also a Fulbright Scholar. The lecture will be held on Tuesday, February 27, 2018 at noon in the Health Sciences Learning Center (Room 1306) on 750 Highland Ave. in Madison, WI. The guest lecturer was Dr. Hewitt W. “Ted” Matthews BS, BS, MS, PhD, and Dean of the Mercer University College of Pharmacy in Atlanta, Georgia. Through his service and leadership of more than 25 years at the same institution, the pharmacy program has gone from being unranked to being ranked the fourth best private pharmacy school in the nation by U.S. News and World Report. Among many other awards noting his outstanding personal and professional achievements, Dr. Hewitt was awarded the 2012 American Pharmacists Association Academy of Student Pharmacists Outstanding Dean Award. He has also served as President of the National Pharmaceutical Association as well as Founder and Chairman of the Board of Directors of the National Pharmaceutical Association Foundation (NPhAF). The Kremers speaker was Judith Jacobi, PharmD, FCCM, FCCP, BCPS, and current president of the American College of Clinical Pharmacy, previous president of the Society of Critical Care Medicine, and a practicing critical care pharmacist for Indiana University Health. The Kremers speaker was John A. Bosso, PharmD, FCCP, FIDSA, a professor and Chair of the Department of Clinical Pharmacy and Outcome Science at the South Carolina College of Pharmacy. He is also a professor of Medicine in the Division of Infectious Disease and the Medical University of South Carolina–Charleston, South Carolina. Prof. Bosso spoke about “Servant Leadership and Professionalism”.